When practising team sports or any group activity, it is important that you are prepared if an accident happens. 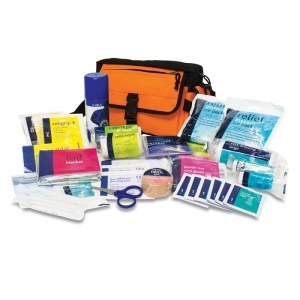 The Compact Team Sports First Aid Kit is the perfect portable first aid kit for trained first aiders and physiotherapists to tend to basic sports injuries. With the emphasis on group activities and sporting pursuits, the contents of this kit are suited to look after a moderately sized sports team, or even for the larger family that enjoys outdoor activities. With a variety of HSE approved materials to attend to any incident, you will always be guaranteed peace of mind. What Is Included in the Compact Sports Kit? 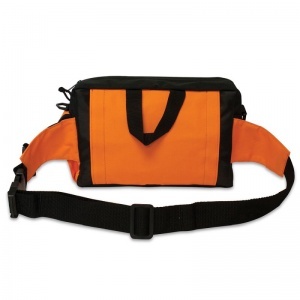 The kit comes in a bright orange, practical Strasbourg bag that can be worn or carried in many different ways; simply grab onto the secure carry handles, sling the strap over your shoulder, or even wear it as a bum bag. 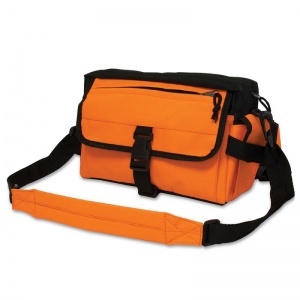 Tough and waterproof, the bag has many compartments and zipped pockets, economising on space wherever possible. The Compact Team Sports First Aid Kit is usually dispatched via First Class Royal Mail and delivery should be within 1 to 3 working days.